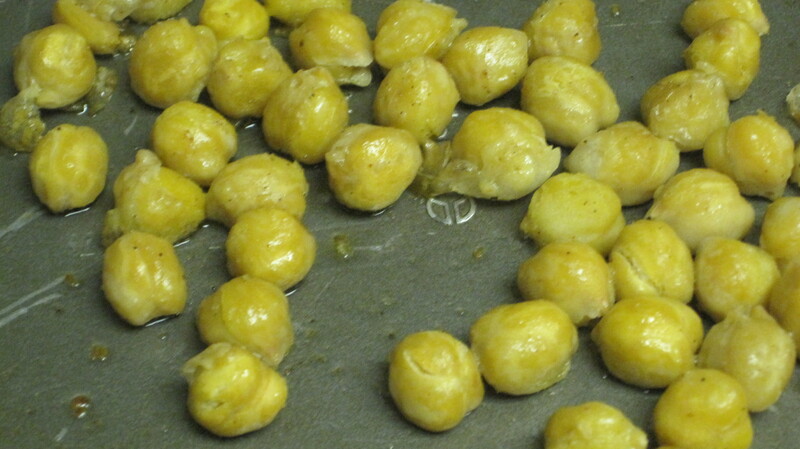 So there was a day about a week (or two, whoops) ago that I decided to just eat a can of chickpeas for dinner. 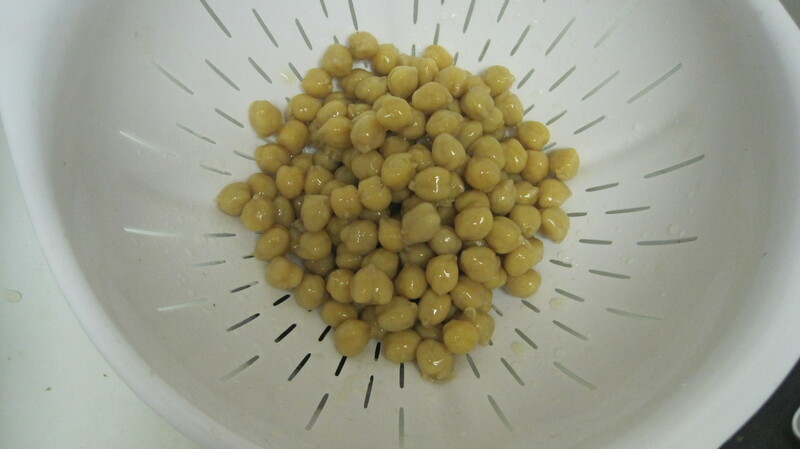 I realize that this sounds insane, but I’ve had this can forever and found two ways to cook chickpeas that I really wanted to try. Having had a large lunch I wasn’t too hungry for dinner. First I tried a chickpea patty. I want to preface this my saying that I had seen a recipe at some point but decided to make it from memory because I was too lazy to turn on my lap top. It was one of those days. 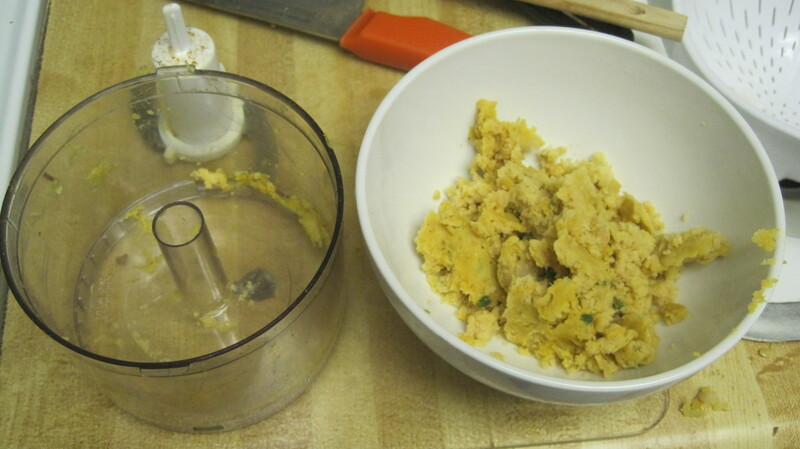 So I first drained the chickpeas and put about half into the food processor with salt, pepper, cumin, and cayenne. 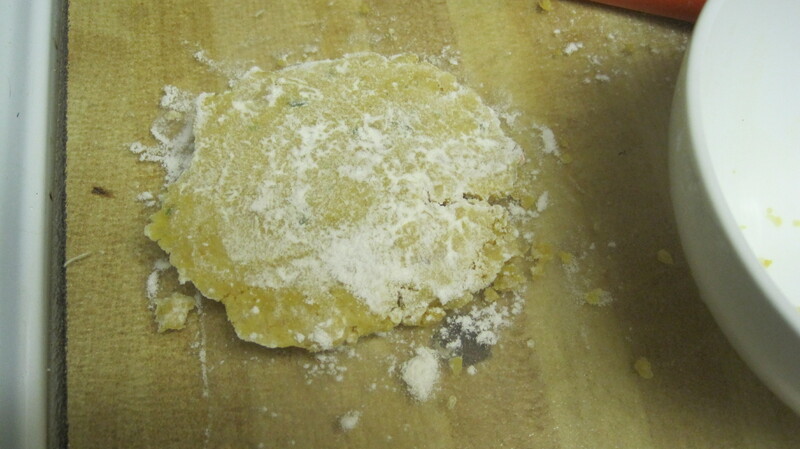 Then I took the mixture and created a pancake and made sure that each side was coated with flour. I think this is where I may have made a mistake. 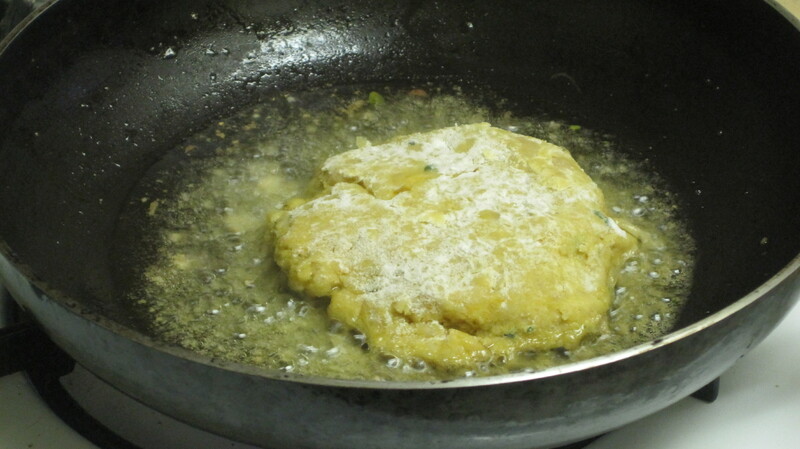 I probably should have added some egg or something (like you would for a potato pancake) so that the patty would bind together when cooked. Oh well, can’t win them all. The I put a ton of canola oil in a pan and fried it! This is totally a situation of “tastes better than it looks” I promise. 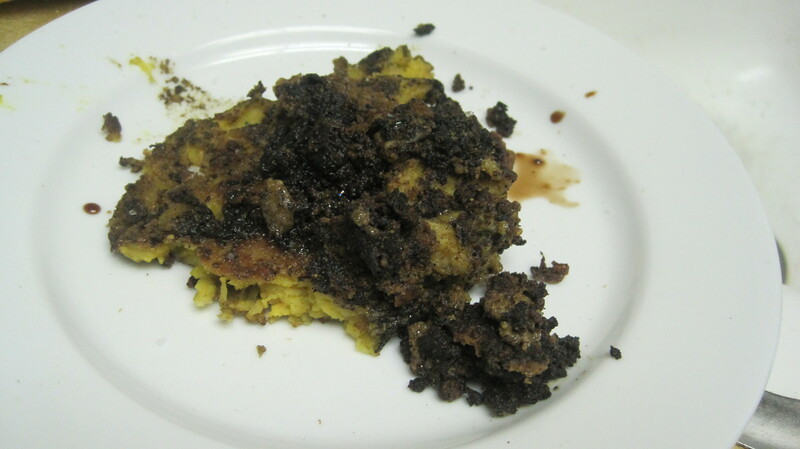 It was actually pretty ok after I put balsamic vinegar on it. Although, next time, I’m using a recipe. 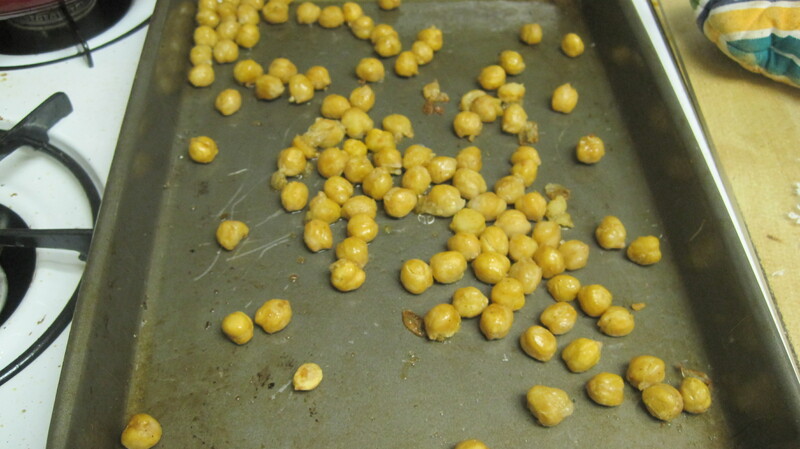 Next I tried, with more success, roasted chickpeas. It is widely known that I have an affinity for roasting things. This is a typical roasting set up: EVO, salt, pepper, toss. Oven at 400 and put them in and observe. MMMM. They came out super crispy and yummy. Love the crunch. Moral of the story? 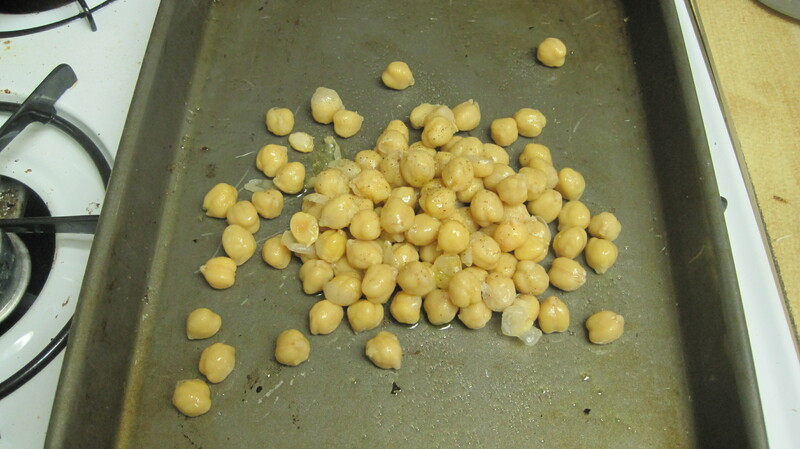 Roasted chickpeas are delicious and I need to consult recipes more often!